This design would be a splendid addition to any theme of decor. Made with a combination of wood and leather, this piece will immediately capture everyone's attention. 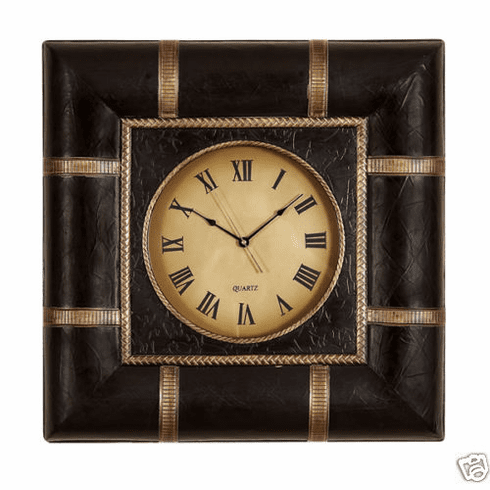 This clock is styled to perfection with its black frame and laced sides. The functional clock completes the piece! All of your friends will be jealous of this wonderful piece. Perfect for your home, office, art studio, art project, model project and high class hotel room.